Each year I look forward to the Monsoon Season here in the southwest United States. Not only does it often cool the heat of the desert, it projects awe inspiring displays across the sky. High winds blast Haboob dust storms to blanket entire cities, and dumps water so fast from the sky that dry creek beds and gullies become awash in flash flood debris and instant death to anything or anyone who does not respect it. Sounds like fun eh? Despite the dangers I am, along with a number of fellow photographers, drawn to try and capture still and time-lapse images each year. We venture out into the desert, many times at sunset and at night, to setup near the hot zone. Ever watching our smartphone apps with live lighting data to be in the right place at the right time, or to get the hell out of the way fast! July generally marks the start of the season here in Arizona. Though, some of my friends are already out on the plains of the midwest chasing tornados here in April. Sleeklens has written an article on how to shoot lighting and some of my images are used to show the awesomeness and power we attempt to capture. 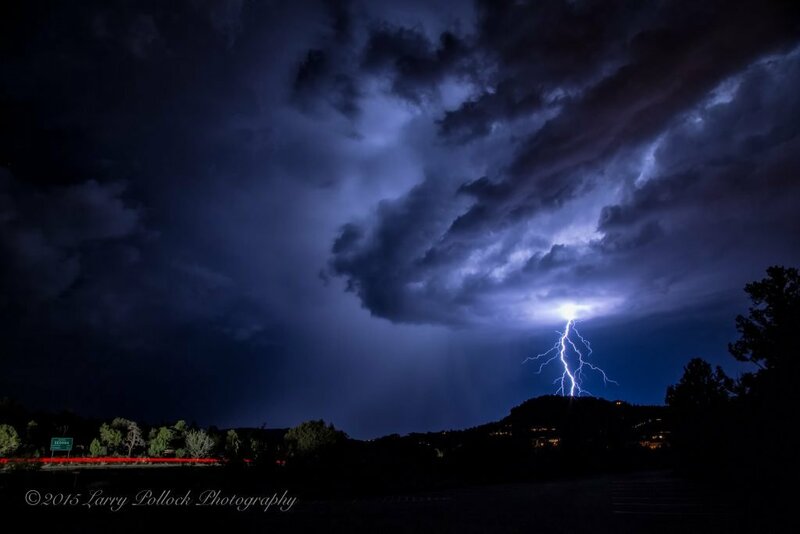 This entry was posted in Lighting Photography and tagged arizona, lighting, monsoon, photography, southwest. Thanks for sharing Larry and many thanks for your wonderful, incredible & truly amazing lightning images ! !